Sound of waves crushing to the shoely. The glaring sun makes you wanna cover-up your eyes with your hands without thinking. HELLO WEEKEND introduce you a high quality, stylish and relaxing swimwear to you. 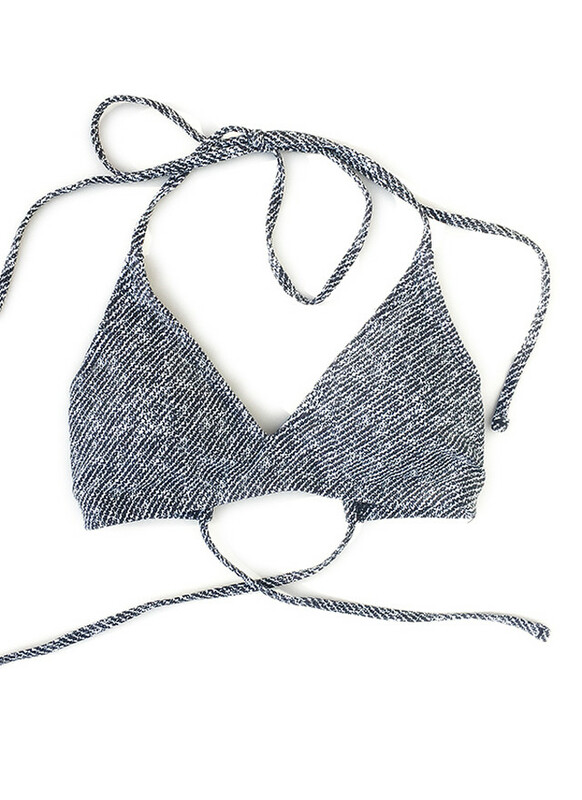 Bandeau top with relaxing atmospher. Tiny ribon on the middle giving a matured lady look. Come with round and wrapping-feel paddings for this top. Furtuers a pad-pocket system, so they are replaceable with your favorit paddings. Wide side tie supports your side and will give good stablity. No need for complecated tying, just do it up and make it looks absolutely cute.